Various pieces of hardware pertaining to Atari's 7800 ProSystem and its incredibly uncomfortable joysticks. 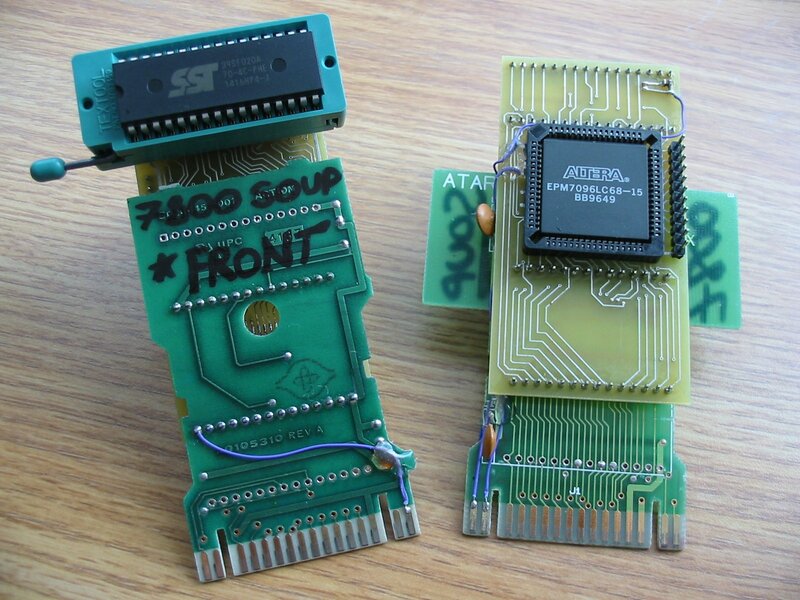 Souper is a family of memory mappers for Atari's ProSystem which support up to 512KB of ROM, 32KB of RAM, and optional graphic fetch redirection. A clocked 8-Bit Output Port is also included for communication with external devices. 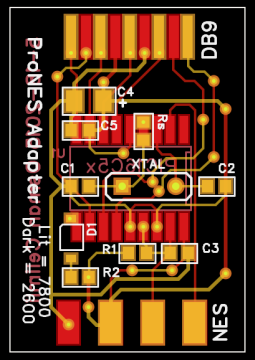 Support for this mapper with BupBoop + CoreTone audio expansion is included in BupSystem. 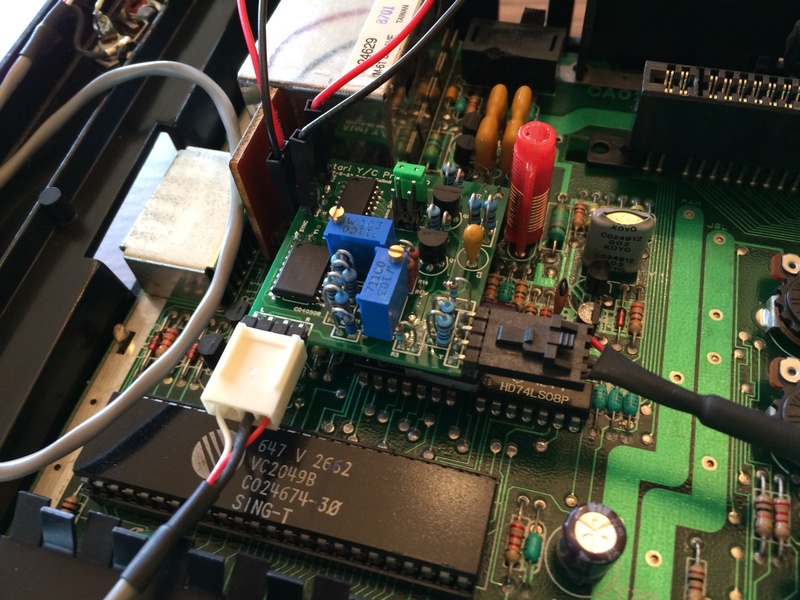 Souper Verilog Source + POF The original mapper variant, targets an EPM7096LC68. Subpar Verilog Source + POF Alternate version, targets an EPM7064LC68. Loses the A8, A9, A10, and A11 passthroughs and the audio command clock is no longer an open-drain output. Sublet Verilog Source + POF Alternate version, targets an EPM7064LC44 + 74HC573. Loses the A8, A9, A10, and A11 passthroughs and requires the 8-Bit output port to be relocated to a 74HC573. The audio command clock is no longer an open-drain output. Support for Flash ROM programming has been added through a few new registers at $808x and the romWrite_n pin. Equates How to use Souper in your own software. Riser PCB Gerbers This PCB can be placed over Atari's 48KB cartridges to create a very cheap 256KB development board (see layout, prototypes). RESETn requires an RC circuit while HALTn, RW, and PHI2 must be jumpered to the card edge manually. 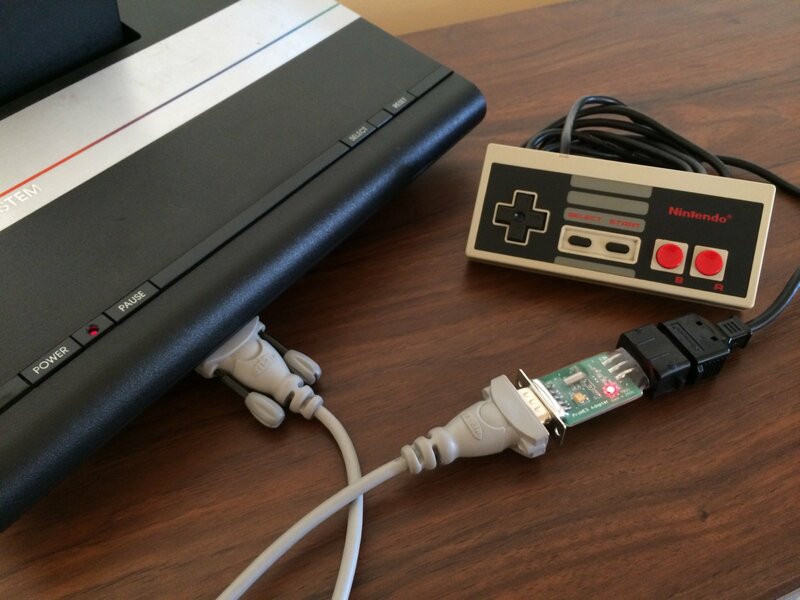 Allows the use of NES GamePads with not only the ProSystem, but also the VCS! The user can choose between two (7800) or one (2600) button mode by pressing SELECT on said GamePad. 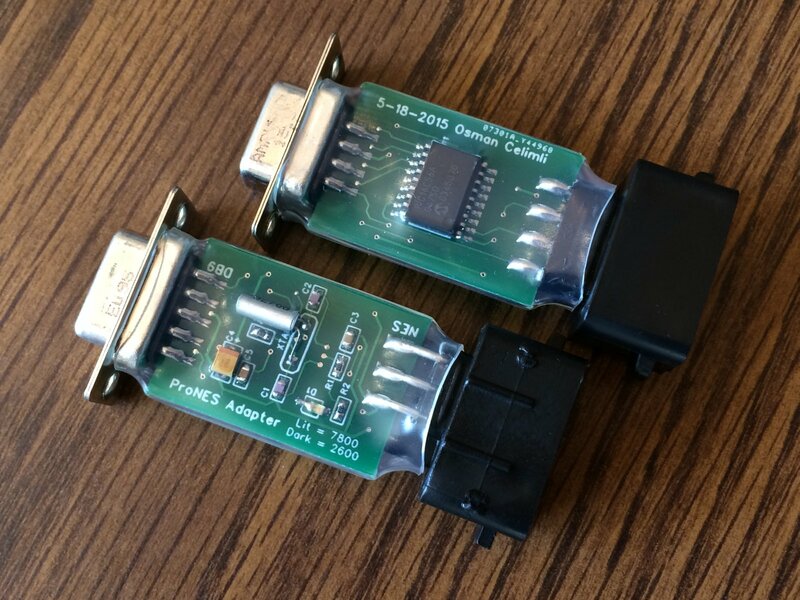 Uses a single PIC16C5x microcontroller to perform the conversion, which can be clocked as low as 32KHz allowing the use of super-cheap tuning fork oscillators. 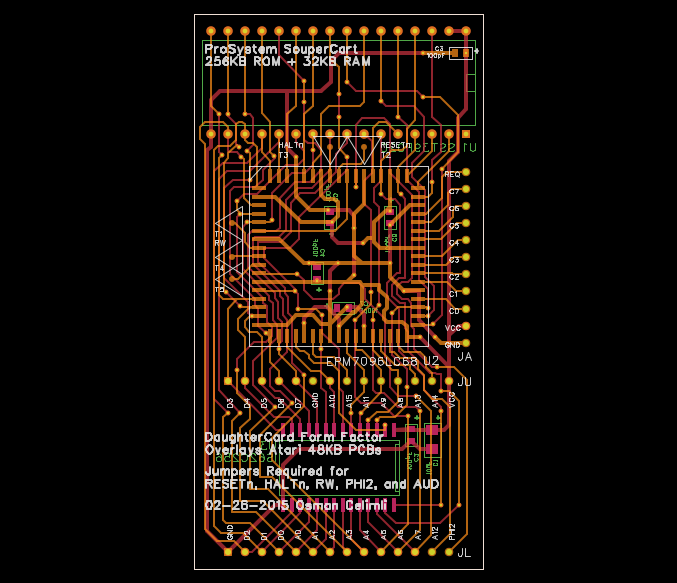 The supplied PCB Gerbers and microcontroller software are designed for the small 18-Pin flavors of these PICs (x54 & x56). PIC16C5x Sources For Microchip MPLAB v8.92. PIC16C5x Binary In Intel HEX Format. 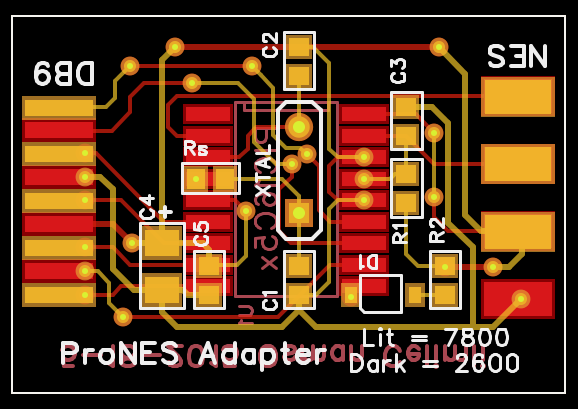 Schematic In case you'd like to design your own variation of the converter. 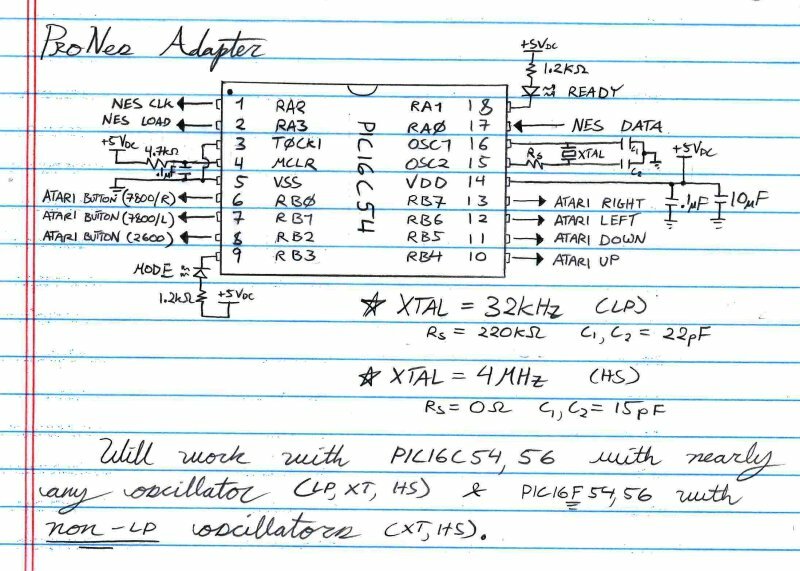 Please take note that the flash versions of the PIC16x5x (PIC16F5x) have documented issues with LP-Type oscillators. Gerber Files Send this two layer board to your favorite manufacturer. Component Listing The required parts for the schematic and pertinent board above. 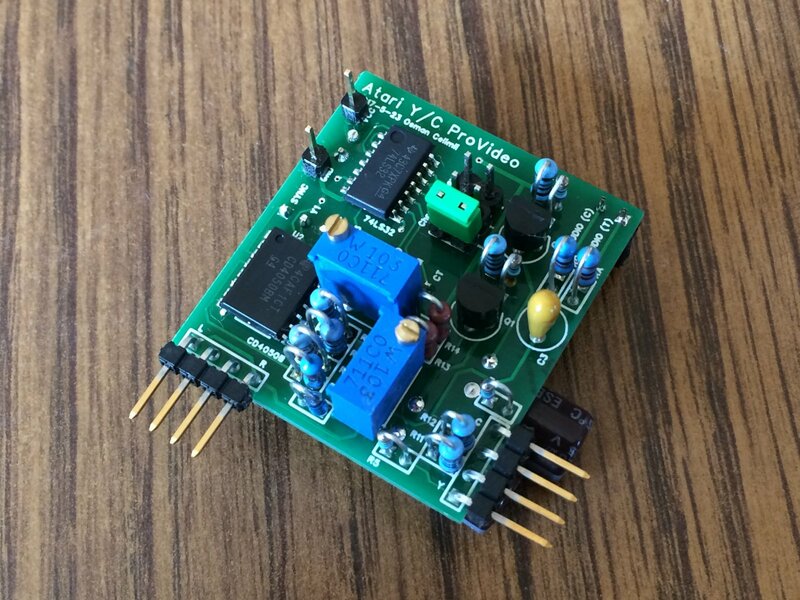 An S-Video and audio output board which can be mounted directly above the analog section of an NTSC ProSystem. Its circuit is based upon Saundby's with additional buffering. The two potentiometers RV1 and RV2 adjust the Luma and Chroma amplitudes, while the Chroma Delay can be shifted up to three gate propagations. Component Listing The required parts for the board above. All content by Osman D. Celimli unless otherwise noted. Not all of said content guaranteed to be useful. Some is probably quite old and dumb. Oh my, here's a YouTube and Twitter.